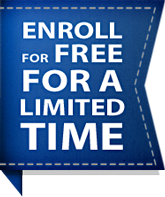 To enroll in this FREE program please complete the form to the right. Pass on this membership opportunity to other OIF/OEF combat-wounded friends and family. If you meet the eligibility requirements above you are eligible for a free membership to the Veterans Circle (VC). This pricing structure may change in the future but once you join you will not be charged for membership. You may cancel your membership at any time by contacting us at 888-447-2588. To unsubscribe, email unsubscribe@saluteheroes.org. Becoming a member of VC does not guarantee that you will be selected to receive holiday meal checks or scholarships, but it does make you eligible. All members will be screened for approval through our criteria listed above. This program is different than our Emergency Assistance, if you need immediate aid and have not already applied, please visit our website www.saluteheroes.org for more information. If not, what is your Anticipated Discharge Date?